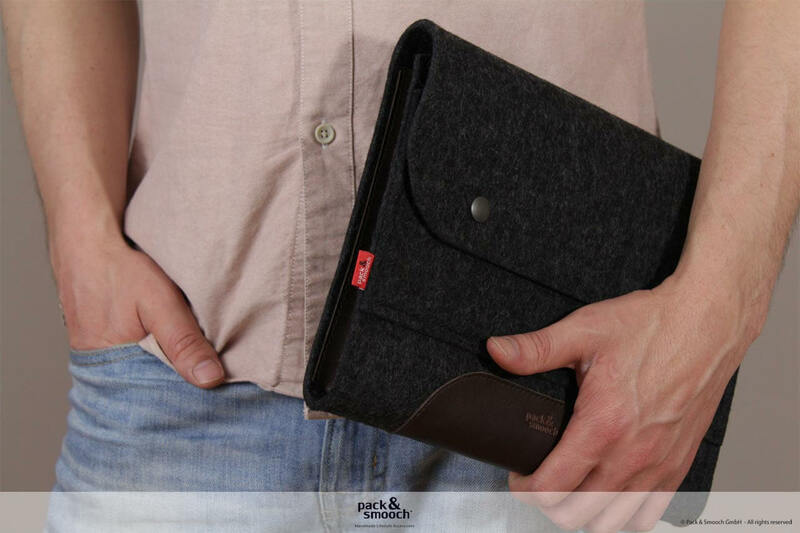 Product information "Corriedale S iPad Pro / iPad Air portfolio bag"
The minimalistic shell with much, much, much, more space than you think. Corriedale is as slim as all Pack & Smooch iPad bags, but it's easy to put away all kinds of accessories. Their secret: Foldable side panels as first-class as the leather they are made of. It makes it easy to store materials such as writing utensils, charging cables, mobile phones, headphones and more. The buttons recessed into the front of the iPad keep enough distance to the iPad. 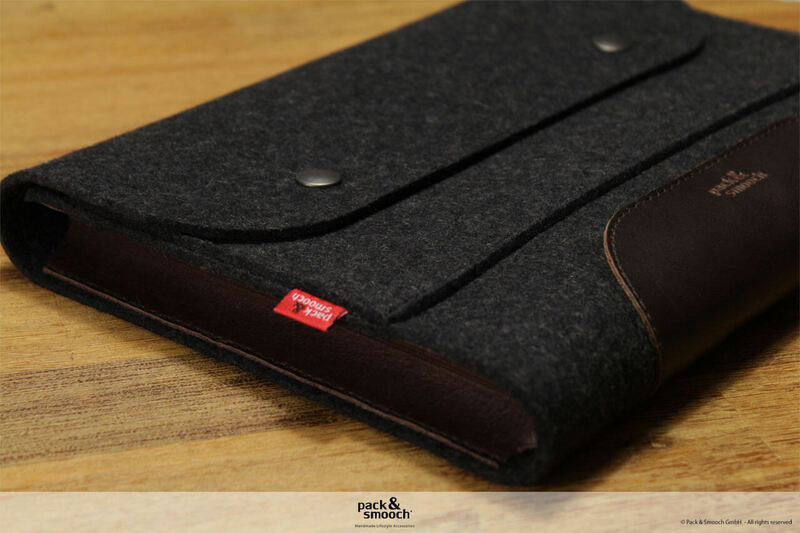 In addition, your iPad is padded and protected by an additional felt insert. So if you want to transport more, Corriedale is the perfect place for you. Make Corriedale full of your most important cargo and free your mind to think. 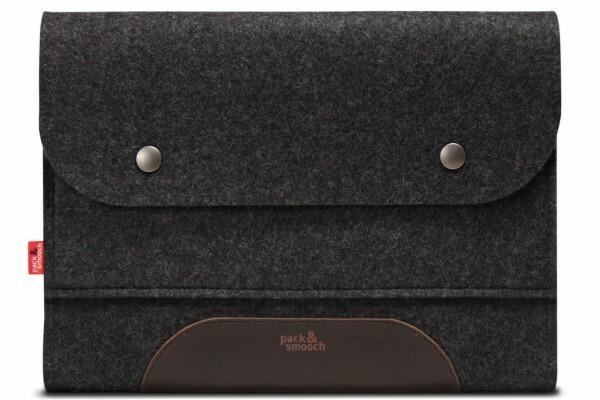 Related links to "Corriedale S iPad Pro / iPad Air portfolio bag"
Our Corriedale S bag for tablets like iPad Pro 11" or iPad Air 10.5" as well as older iPads is easy to clean and care for. If the wool felt becomes slightly soiled, the product can be carefully cleaned with a damp cloth. Heavier soiling can be treated with a mild soap solution and dried with a soft cloth. Small scratches in the leather can usually be gently rubbed out with a damp cloth. Larger scratches can be removed with a little bit of leather wax applied with a soft cloth. 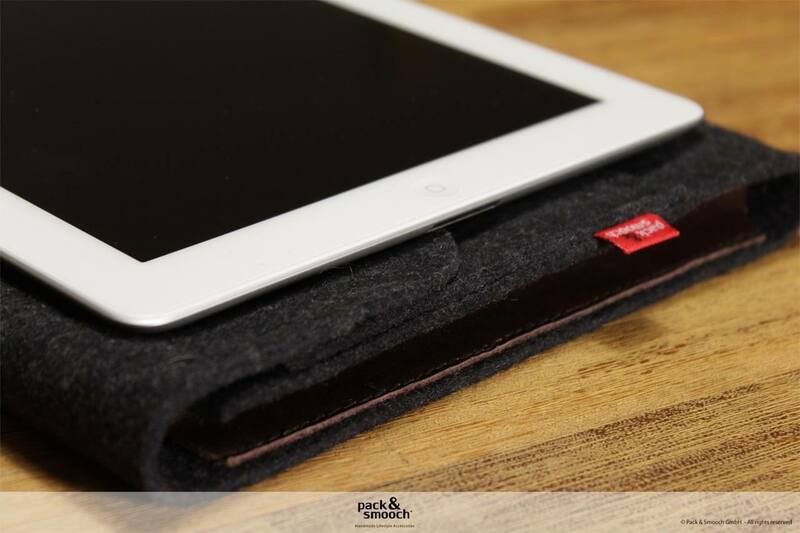 Customer evaluation for "Corriedale S iPad Pro / iPad Air portfolio bag"